Midwest Winter Weather Blog: First Winter Storm in the Great Lakes this Year! Alright, here we go. 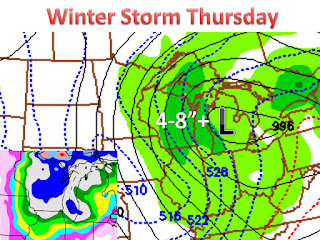 The first winter storm is starting to shape up for this wed/thur. Four of the five most reliable models are showing this solution...Two storms will come together over Michigan and deepen. 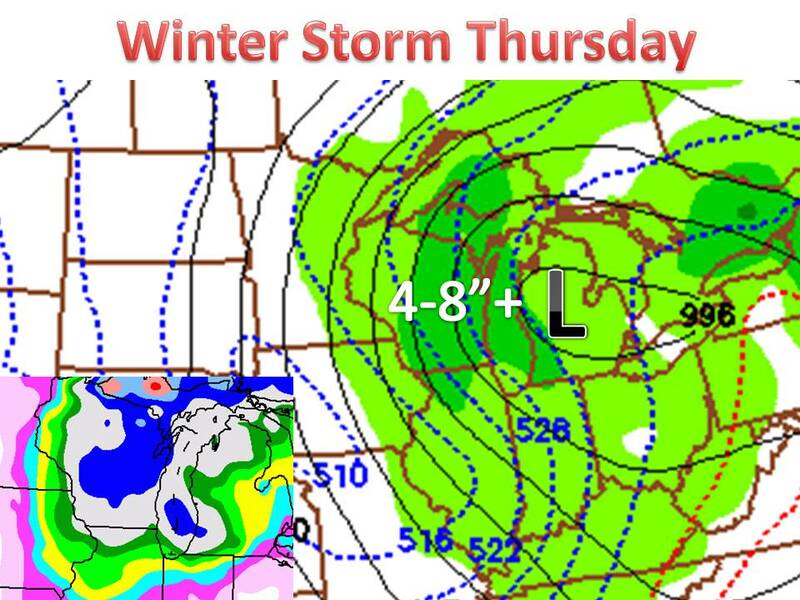 The strong low pressure will be stationary for awhile and dump snow on wisconsin and northern Illinois. With artic air filtering in snow ratios will be very high, meaning the snow will fluff up adding to the totals. Right now totals in eastern wisconsin will range from 3-11"! Yes i know that is a terrible forecast but lets break it down. Overall i am going with 4-8" in eastern wisconsin and slightly less in northeast Illinois. The main computer model spits out 10" in many areas, but some only show 3-6". It will all depend on how long it takes the low pressure to exit Michigan, we will see. Expect a snow map tomorrow!